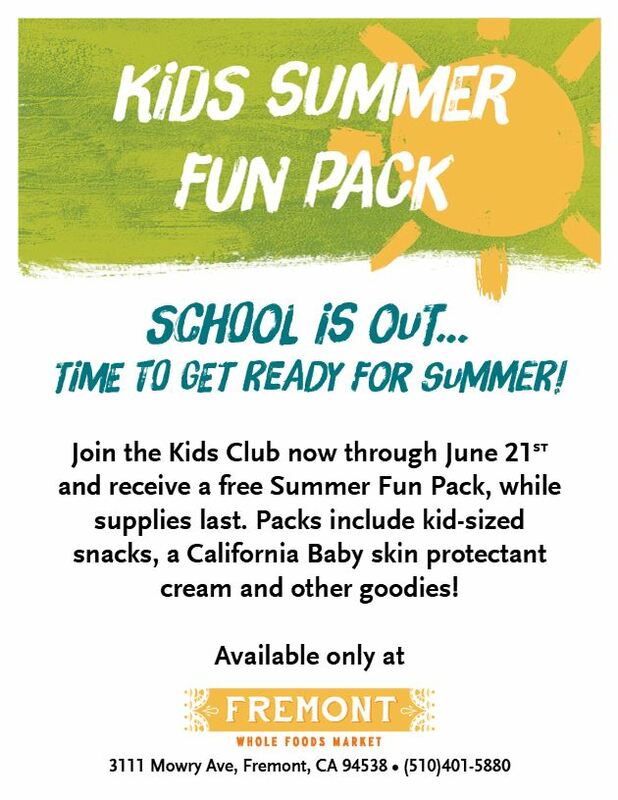 Whole Foods Market Fremont is celebrating the start of summer vacation for kids with this fun offer through their Kids Club program. Kids Club is a program in our store that is a fun and interactive club for kids. They offer a monthly Kids Club class (this month’s is Kids Yoga) and kids also receive a complimentary snack with each store visit. There is no age limit for this program and/or this offer. Joining Kids Club is simple. Stop by Customer Service and ask to be part of Kids Club, with the option of sharing an email address to receive monthly emails about upcoming classes. Whole Foods Market Fremont loves local moms and they are hosting an event — just for us. Tomorrow, May 10th from 10 am to 1 pm, Whole Foods will be celebrating a mostly Handmade Mother’s Day! See you there, and tell your friends! We encourage you as a childcare provider to attend. This workshop will teach you new skills and information needed to provide a safe, healthy and supportive child care environment for children with asthma. Also those that attend can sign up to receive professional growth units. Did you know that California law SB 1663 mandates that childcare providers administer nebulized and other inhaled medications for children under their care that require it. This workshop helps child care providers meet those requirement. or calling Breathe California 650-994-1903 x 304 or 4C’s 650-517-1430. Habitot is celebrating its Sweet 16th birthday with a dance party! Your dancing shoes will get a work out with tunes from DJ Chungtech and DJ Smokestack from 10-11am and a specially curated “Sweet Sixteen” mix afterwards. Wear your fancy dress for a costume contest with prizes for winners, such as Best Parent-Child Sweet Sixteen, Best Throwback Prom Dress, Best Menswear, and more! Don’t miss the photographer taking “prom-style” photos in front of an Under the Sea backdrop. Punch and birthday cake will be served at 12:30pm. You’re invited! San Francisco-based kids’ educational subscription company Little Passports is holding its 5th Birthday Celebration on April 26th, at the Bay Area Discovery Museum! Bring your entire family to this exciting free event, where kids (recommended for ages 5+) can go around the world and participate in hands-on crafts, science experiments and educational activities. There will also be a“globetrotting” photo booth. 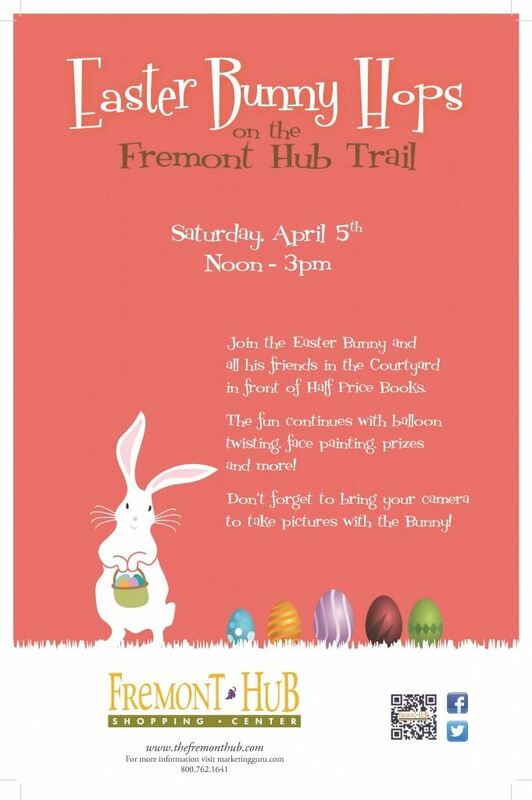 Start celebrating Easter early with the Easter Bunny at the Fremont Hub! The Hub is hosting a great event for kids and families, including face painting, balloon artists, prizes, and a chance to take photos with the Easter Bunny! The event is entirely FREE, so bring your families and join the fun! If your child(ren)’s school is participating in the Cash for Class program, be sure to download and bring this flier for a chance to earn points for their school(s). Let’s have fun and raise money for a great cause at the same time! Bring friends and family for an evening of play. No flyer required; just remember to bring socks. Cost: $10/child, adults are free. 50% of the pre-tax admissions will be donated to the American Cancer Society. Food: Available for purchase upon arrival. $3 for 2 slices of pizza and a drink; cost does not go toward the fundraiser. FUN is trying to give back as much as we can this holiday season — we have a number of drives going this holiday season. We’re listing them all in one place so you can keep track easily — we hope that if it’s within your means, you can help make another family’s holiday season brighter. What: Let’s HELP Philippine Victims!!! In the spirit of the holidays, we will continue our sock collection drive for Abode. Abode is a local charity that provides housing and services to homeless people in our community. We would appreciate any NEW socks you can donate. 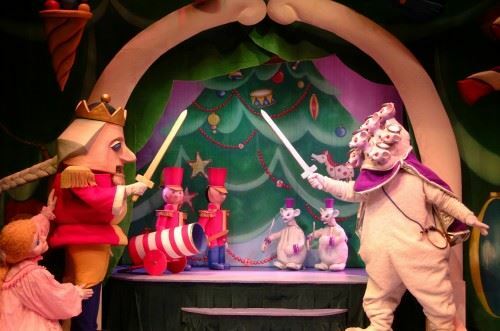 On Saturday, December 21st you’ll have two chances to witness the magical puppetry of Randal Metz and the Puppet Company performing “The Nutcracker,” a time-honored and always delightful holiday extravaganza. The Nutcracker” is about a child’s enchanting, misty and magical dream world and is a must-see for the family during the holidays. The Puppet Company takes you to the land of the Sugar Plum Fairy and introduces you to a host of unforgettable characters, both scary and serene. The music is based on the Tchaikovsky ballet and the show features over 40 puppets! Just a reminder: free tickets are available 15 minutes before each performance at the Children’s Information Desk at the Fremont Main Library. Two Shows: 11:00 a.m. and 1:00 p.m.
Last night we had the first F.U.N. Board Meeting for the 2013-2014 term, and what a night it was! So many talented and smart women working together to make F.U.N. a great place for parents in the community. Everyone is very enthusiastic and has great ideas — it’s going to be a good year! Local mom and baker Teresa of Sweetening q.b. donated a gift certificate for one of her cakes at our May Pampering event, and I was lucky enough to win it. 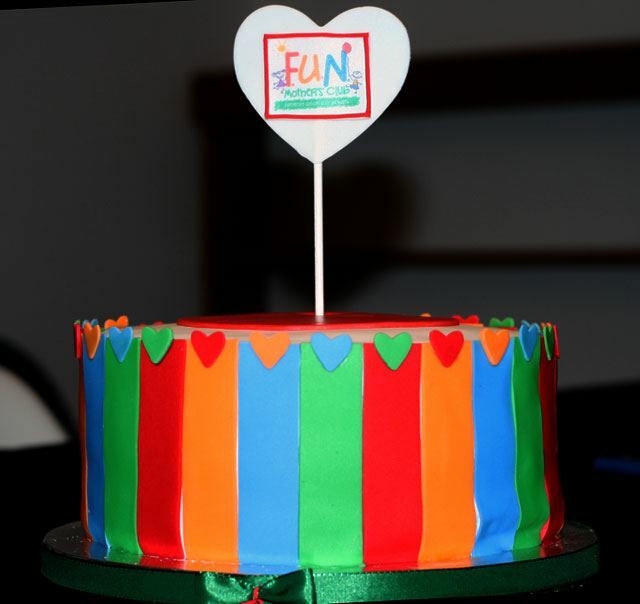 I thought I would give back to the club and had a cake made for our Board kick off meeting. The cake was as delicious and it was pretty! If you are looking to have a custom cake made for an upcoming birthday or event, please look up Sweetening q.b.